When I get cabbage, this is one of my favorite recipes to make. 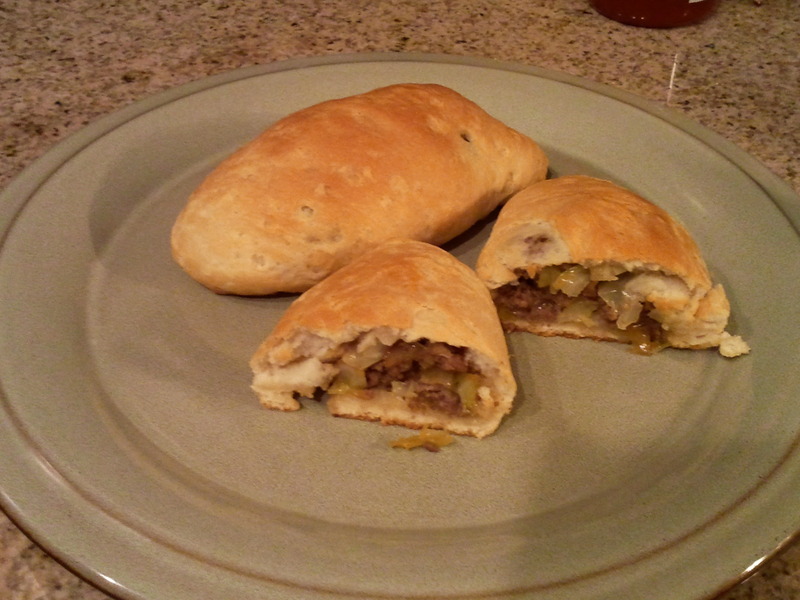 This recipe came from a friend in my mom’s group, and everyone that has made it, loves it. 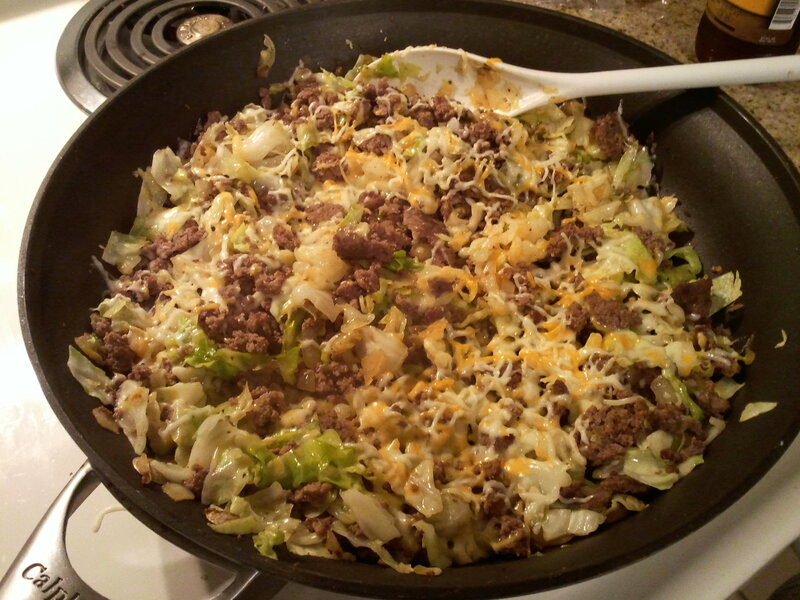 Brown ground beef in a large skillet; drain. Return to skillet. 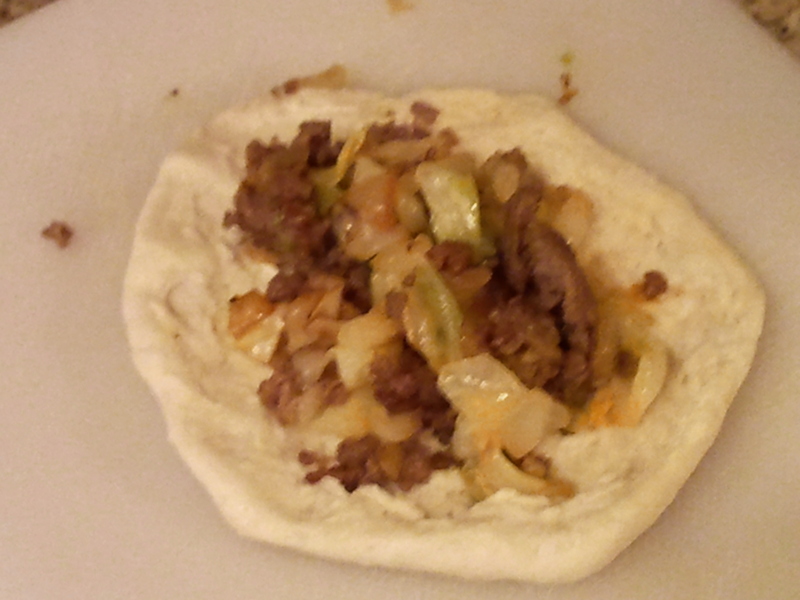 Stir in onion and cabbage. Simmer, stirring frequently, until cabbage and onion are tender. Season with seasoned salt and pepper to your taste. Let cool for 5 minutes. Stir in shredded cheese. Roll out a biscuit. Place a couple tablespoons of the filling in center of each biscuit. 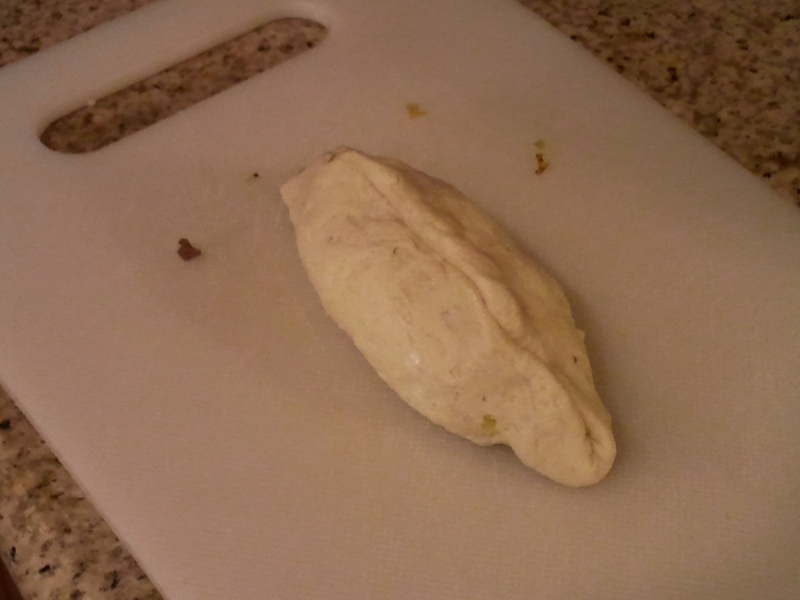 Gather up the sides of dough and pinch shut over the filling. Repeat for each biscuit. Place seam-side down on greased cookie sheet. Brush tops with beaten egg white or olive oil. Bake 15 minutes at 375 degrees, or until biscuits are golden brown. If you don’t want to as many at once, you can freeze half of the filling to use at another time. Instead of 1 can of Grands biscuits, use 1 can of crescent rolls. Spray a casserole dish with non-stick cooking spray, and spread half of the crescent roll dough in the bottom of the dish. 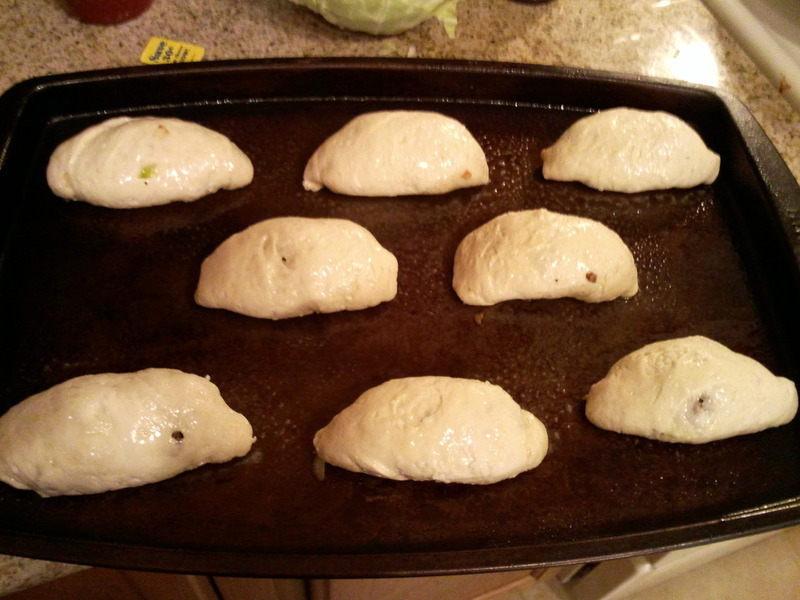 Add the filling mixture, then spread the remaining half of crescent roll dough on the top. Bake at 375 F for 15-20 minutes, or until golden brown on top.